In the past, a lot of the narrative on the real estate front has been centered on the idea of “buy or rent.” Low interest rates for mortgages today have changed that discussion dramatically. Mortgage interest rates today are as low as they have been in almost two years. That means that owning a home is more affordable now for people than it has been in years. Another driving factor in the rent/own discussion is the current atmosphere of lending requirements and low down payment needs. In the early parts of 2014 lenders began to loosen their requirements for home loans. Along with lower credit scores some programs also offered very low down payment options. The FHA offered a program with a 3.5% down payment, much less than the older requirements of 10% or more by standard lenders. Freddie Mac and Fannie Mae also offered a program known as Conventional 97 that required a mere 3% down payment on a mortgage loan. For Americans that qualified for specific loan types, the VA loan from the Department of Veterans Affairs the rural housing loan from the USDA gave even better options. These loan programs allowed borrowers to get home loans with absolutely no money down. 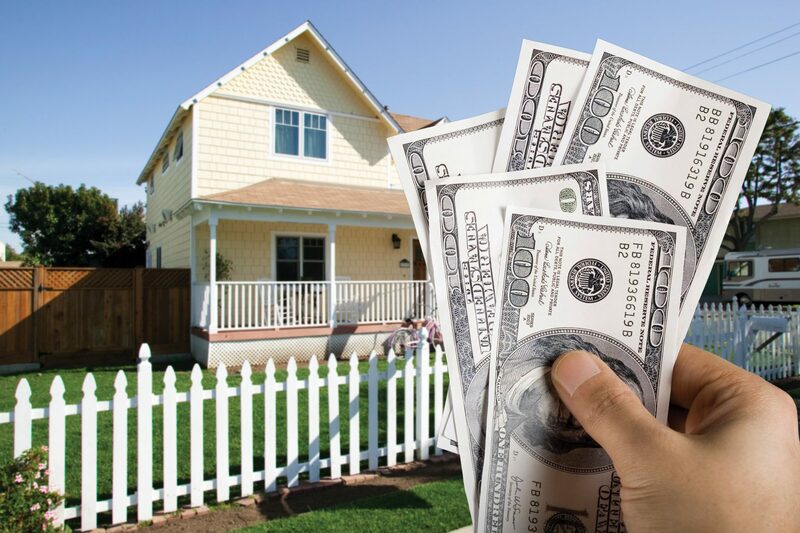 These and the low down payment programs from the Federal Housing Authority (FHA) and the Freddie and Fannie options gave home owners who struggled to gather a big lump sum of money together for a down payment, but could otherwise make normal monthly mortgage payments get the homes they deserved. Since a VA loan requires former military service and the USDA loans are only available to those people looking to purchase a home in very rural areas, most people will be reduced to the FHA and the Freddie Mac and Fannie Mae loan options. Choosing between those two options can be difficult for new home buyers. Getting through the pros and cons of each mortgage option will help new buyers and home owners looking to refinance make the best decisions for their needs. One of the trickiest problems for buyers and home owners refinancing to wrap their heads around is the fact that the FHA is an organization developed to make lending for homes fairer for Americans, but it does not actual make loans. Instead, the FHA insures loans to give banks the incentive to offer better terms to their customers. The loans, backed by the government take the risk out of lending for loan providers. The FHA began following the Great Depression in 1934 and continues today to make sure the lending atmosphere allows everyone a fair shot at the American Dream of owning a home. In the 1930s it was nearly impossible for any average American to purchase a home. The average home loan was only for a five year period, sometimes less, down payments were as high as 50% and most Americans were severely cash strapped. The creation of the Federal Housing Authority made the lending atmosphere more stable for banks, which in turn meant they could relax their demanding requirements. Even after 80 years, the FHA remains a strong force in creating a fair housing situation for Americans. Thanks to the standards set by the FHA, home owners can get loans for up to 30 years, low down payments and interest rates that are better than market averages. Mortgage rates are often lower than the market by greater than a quarter percent. Some requirements can change under the right circumstances. For instance, the MIP required may be dropped after 11 years of payments or when began with a value of 90 percent LTV (loan to value) or less. That is one of the ways where having more down payment cash can help in the long run, and give someone who is able to save up the 10% down a little advantage. Most other FHA loans will require the MIP payments to continue until the loan is complete. Because of the value they offer to struggling Americans the FHA insured 1 out of every 5 loans closed by U.S. mortgage lenders in 2014. Competition for the FHA loan has been sparse up to now. The Freddie Mac and Fannie Mae options were often confusing and could be expensive. However, a retooling of the Conventional 97 program has made it s much stronger option and now offers a choice for home owners that is cheaper and easier to understand. Past versions of the Conventional 97 loan did not provide an option for repeat buyers. Current versions allow first time home buyers and repeat buyers to make use of the program. A first time buyer is recognized as someone who has not owned their own residence for the prior three years. The narrowing of the definition of a first time buyer allows homeowners who lost a home to foreclosure during the last 10 years to still be eligible for affordable loans. The Conventional 97 loan also allows home buyers to receive parts of their down payment as gifts from friends and relatives. Gifts of money for down payment must be given in a specific way, and documented as a true gift to be eligible for the loan. No cash for the down payment can be considered a loan in any way. All other aspects of the Conventional 97 loan are easy to understand. The loan requires a 3% down payment, terms of up to 30 years, fixed and ARM terms are allowed and all home loans under this program must be for a principle residence. Home buyers looking to apply for a Conventional 97 loan will have to provide proof of employment and verification of income. The loan can be for the purchase of a new home or the refinance of an existing home. The program does not require buyer counseling and private mortgage insurance is required. However, a big benefit to the Conventional 97 loan is that the PMI (private mortgage insurance) ends when the loan reaches 80% loan to value ratio. When the LTV rate reaches 20% equity for the home owner, they no longer have to pay the insurance which can amount to a great monthly savings on mortgage payments. The loan program that is right for you will depend on your own personal needs and situation. Your credit score may make the decision for you. While FHA loans are provided to home buyers with a score of 580 or higher, the Conventional 97 demands a minimum score of 620. The terms of the Conventional 97 also fluctuate with the level of your credit rating. A higher score will give you better home loan terms including lower mortgage interest and mortgage insurance rates. The length of the mortgage may have an impact on loan types for you as well. If you are going to keep a home for more than six years, the Conventional 97 mortgage that eliminates the insurance payments at 80% loan to value will save you a lot of money in the long run. Another issue to consider is that the FHA charges an extra mortgage premium at closing. This is known as an upfront MIP and will cost 1.75% of the total loan value, a big addition to closing costs. The Conventional 97 does not charge an upfront insurance fee at any time.